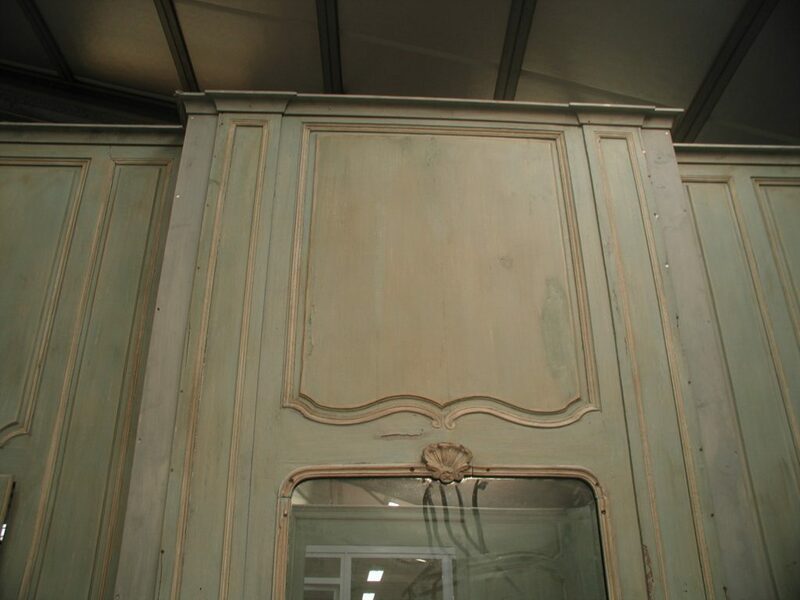 In my previous post I talked about how to give a panelling the perfect finish and in addition to this article, today, I would love to share with you some pictures of an antique panelling that was set up in our workshop. 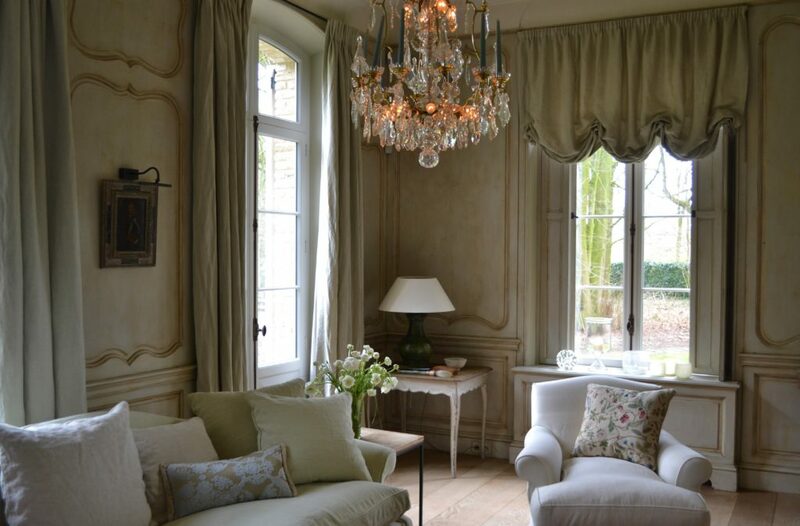 Wood finish is not the only important issue to create a perfect panelling, also the exact proportions and the use of the most beautiful shaped mouldings are invaluable to realize new-made, well-proportioned panelled rooms. Because we do pay a lot of attention to the details of our new created panelled rooms, we regularly search for old panelling or parts of it. 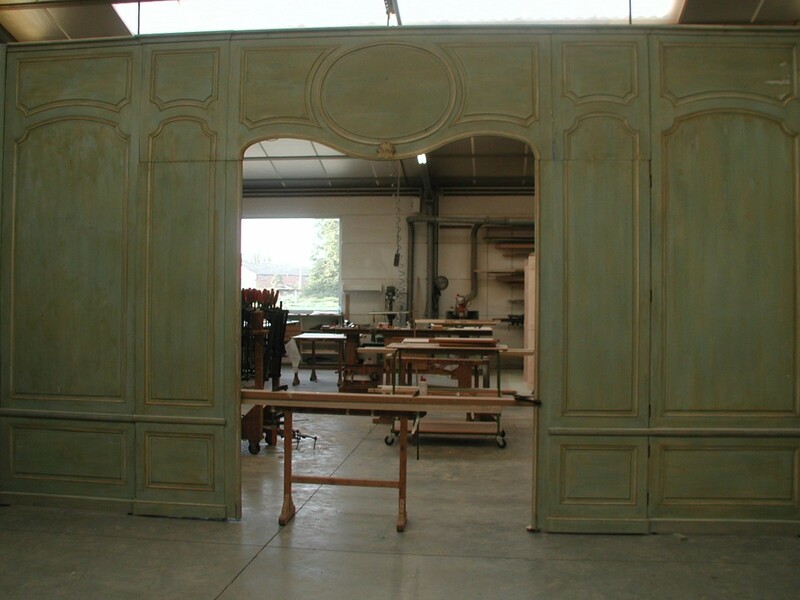 We always want to shape the appropriate mouldings belonging to the style of the boiserie that has to be designed. 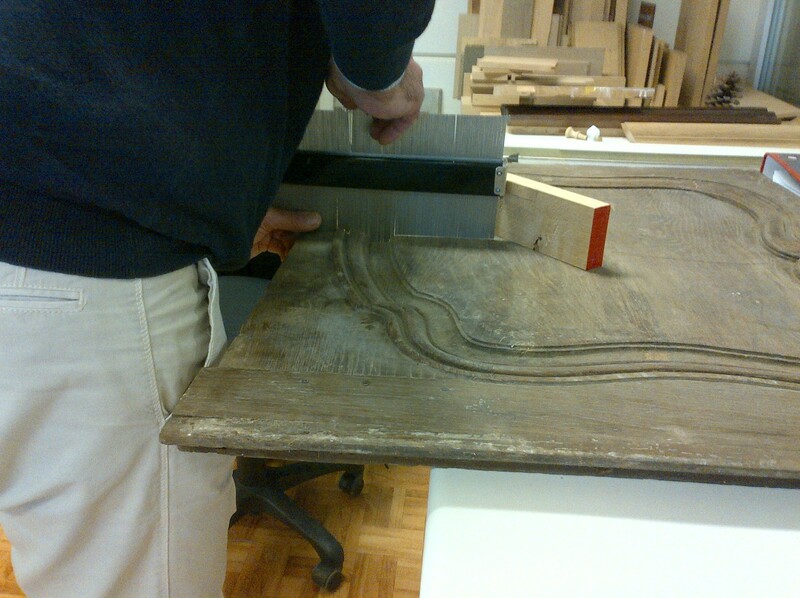 For our team at the workshop, antique panelling means ‘endless and priceless inspiration’. 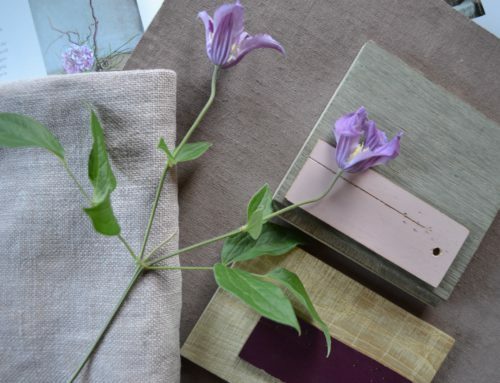 It is absolutely not evident to find an antique panelling that fits in the size of the space that you would love to see panelled, unless you create a room in your home that has yet to be built, according to the sizes of the antique panelling you have found. Very often we do notice that only a few parts of an antique panelling are used and are then supplemented with newly created panels. Personally, I am not so fond of a mix of old and new, because adjusting antique panelling usually implies that there is too much tinkered with the proportions of it, and which can be clearly felt entering the room. 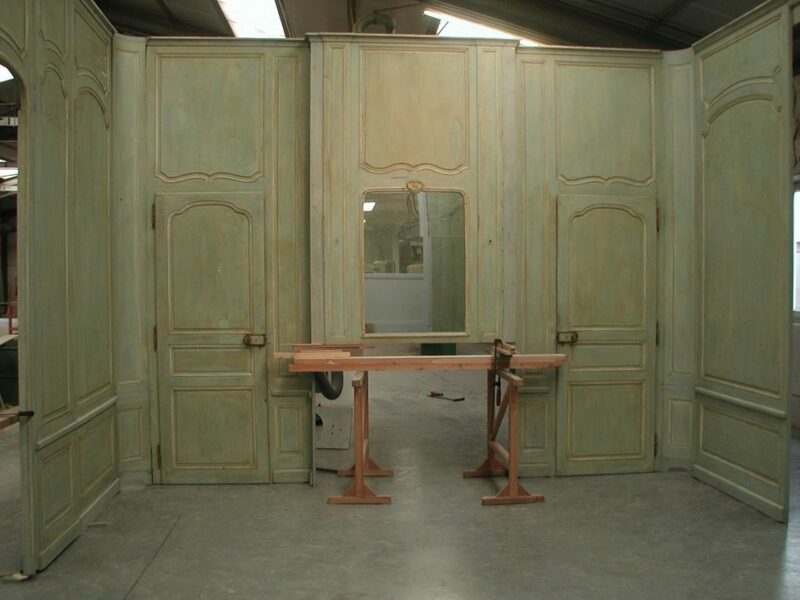 ‘I prefer adding an antique trumeau as a starting point in the design of a panelled room and to complete the room with a new bespoke boiserie, provided that it is made according to traditional, time-honoured techniques, and in respect of ancient wood assemblage, this together with the use of the exact mouldings.’ And that is exactly what we, at Lefèvre, are trying to do. 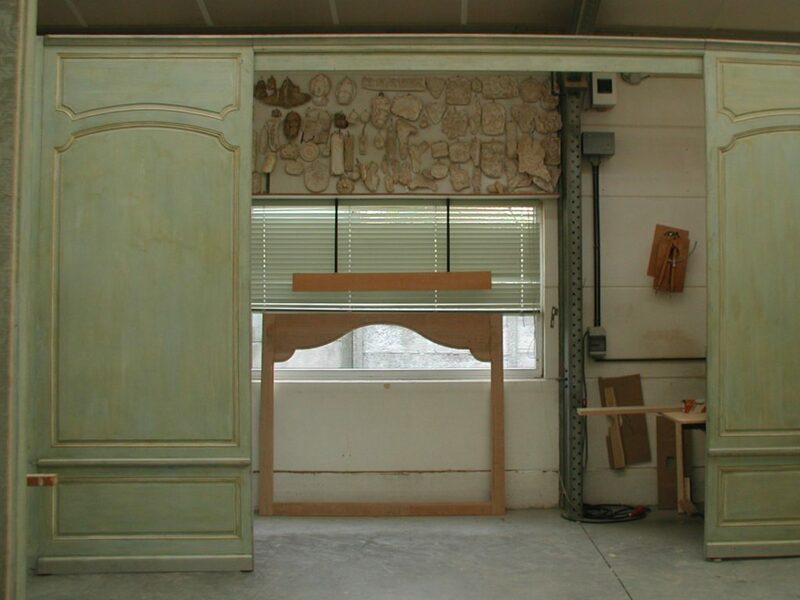 In addition to going to see and to study antique panelling in castles or musea, we regularly try to bring old (or pieces of old) panelling to our workshop, which is the most ideal way and the perfect base to create our Lefèvre panelled rooms, according to the golden ratio. 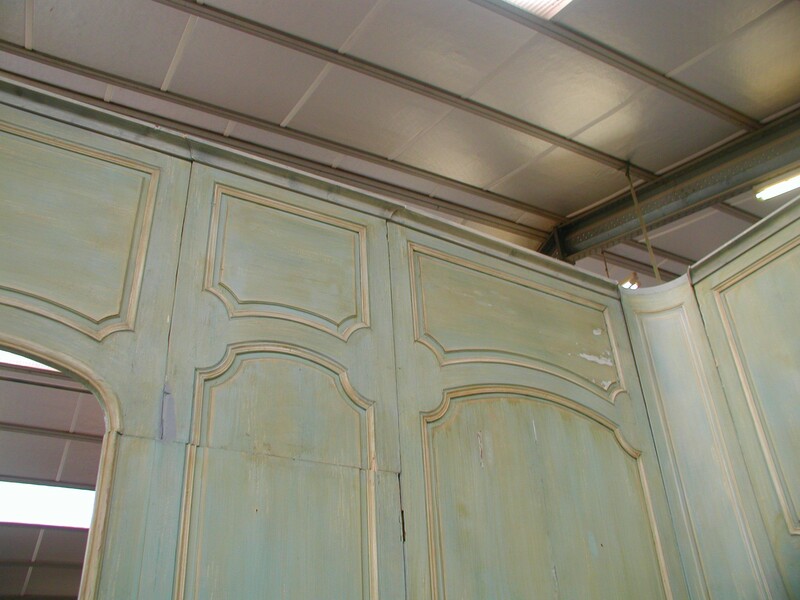 Following pictures show a French 18th C. LXV panelling set up in our workshop, a priceless inspiration to create a Lefèvre Interiors panelled room. 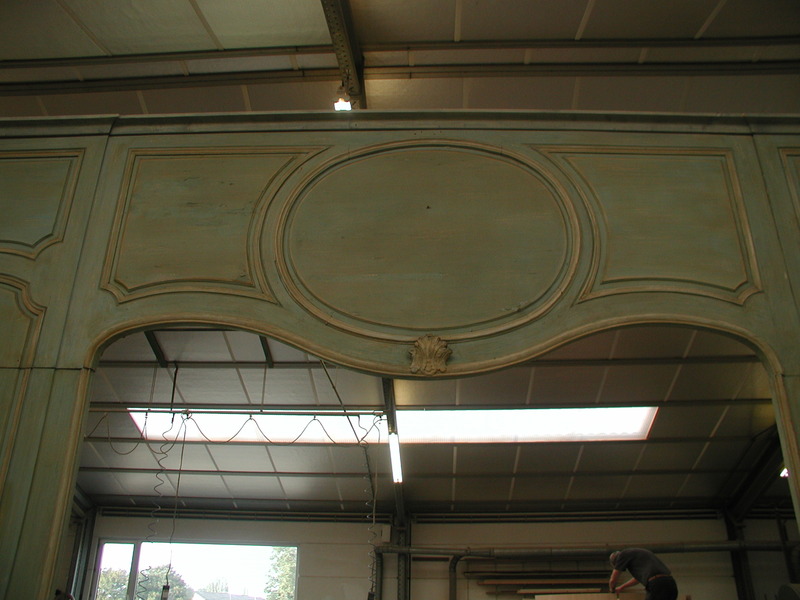 French 18th C. LXV panelling set up at the Lefèvre workshop. Trumeau detail which regularly is used as a starting and focal point of a panelled room first sketch. We do love the curved corners here. 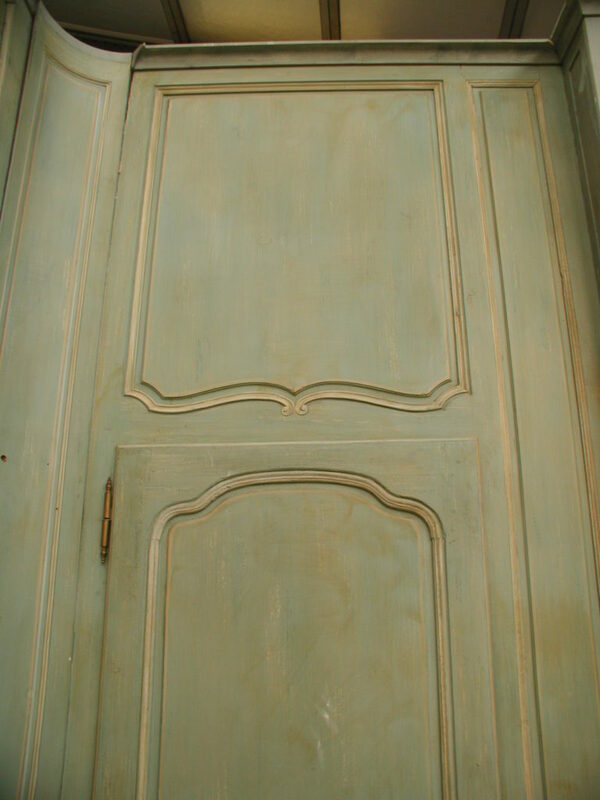 French LXV époque panelling with detail of integrated ‘secret’ door. 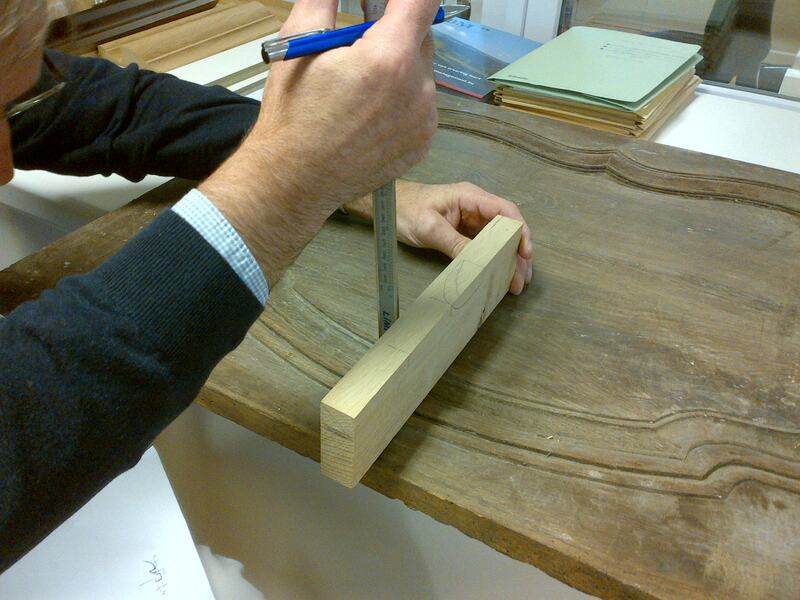 It is of an absolute importance to recreate the perfect 18th C. mouldings. French 18th C. LXV rim lock. 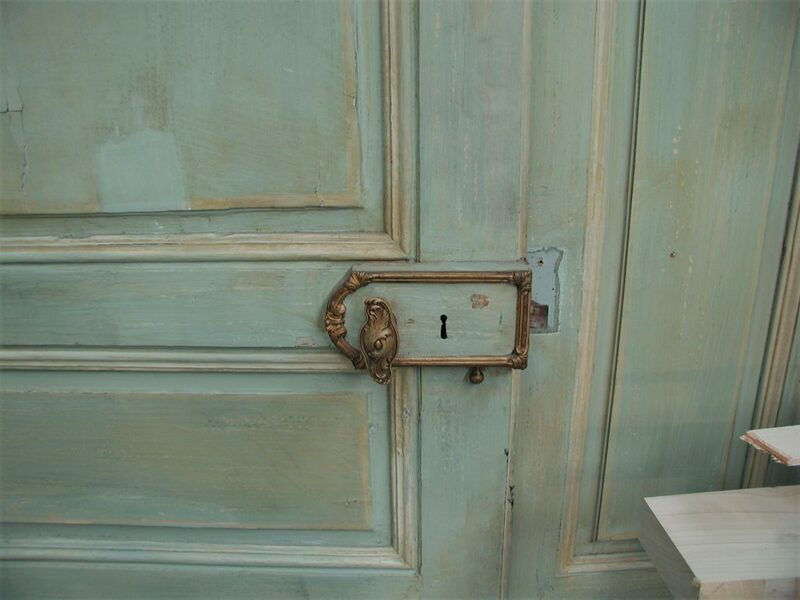 We even offer our clients the most beautiful and authentic inspired hardware, as this type of rim lock to see here. 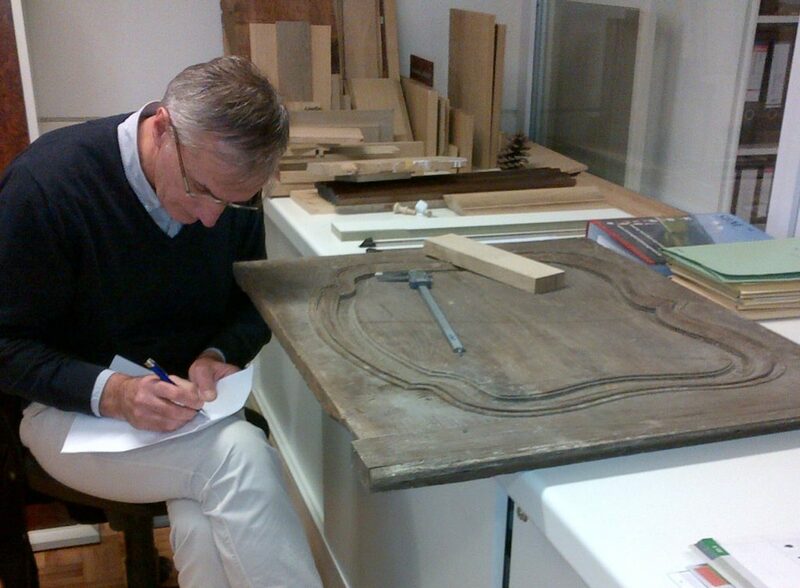 Following pictures show my husband studying and taking over an 18th C. moulding of an antique boiserie panel in order to recreate it in one of our Lefèvre boiseries. 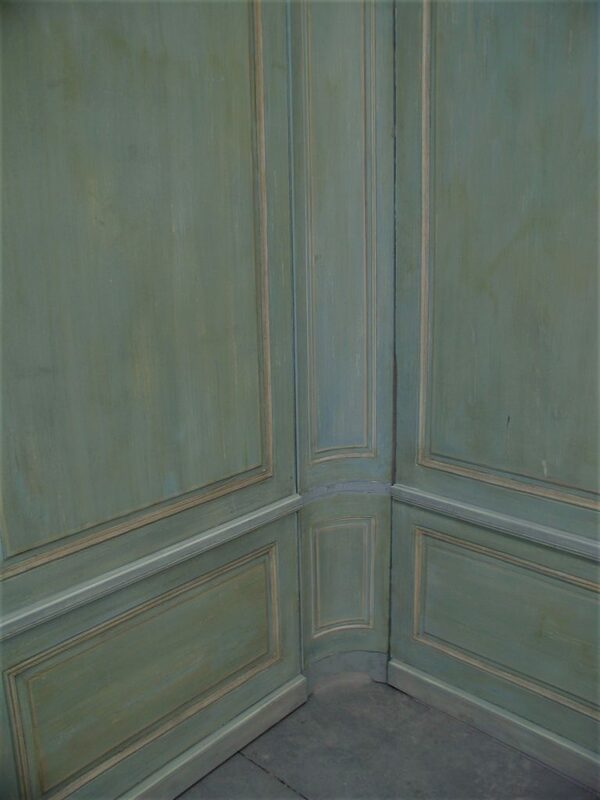 A Lefèvre Interiors French 18th C. LXV inspired panelled room.